Younger brother of United legend Jim McLean, Tommy had a very successful playing career with Kilmarnock and Rangers, where he was part of the team that won the 1972 European Cup Winners Cup. After retiring as a player at the age of 35, he became assistant manager to John Greig at Ibrox, taking over as caretaker manager for a short spell in 1983. 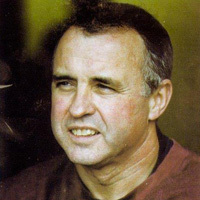 His first step into management came with Greenock Morton during the 1983/84 season, and he led them to the First Division title before being appointed manager at Motherwell. 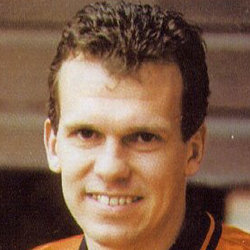 His spell at Fir Park was a successful one lasting 10 years, with the highlight coming in 1991 when Motherwell lifted the Scottish Cup after an amazing 4-3 victory over United - managed by brother Jim. After leaving Fir Park in 1994, he had a short spell as Hearts manager during the 1994/95 season, and then took on the managers position at Raith Rovers. However this lasted only an incredible 6 days before he was offered the position at Tannadice by then Chairman Jim McLean. Taking over the team that had won back their place in the Premier Division, Tommy rebuilt the side, and lead them to an incredible 3rd place finish and European qualification in his first season. After reaching the 1997 League Cup Final, the side's form began to wane, and United only just survived a relegation battle with Hibs. Tommy failed to halt the slide, and just 4 games into the 1998/99 season, he and United went their separate ways.